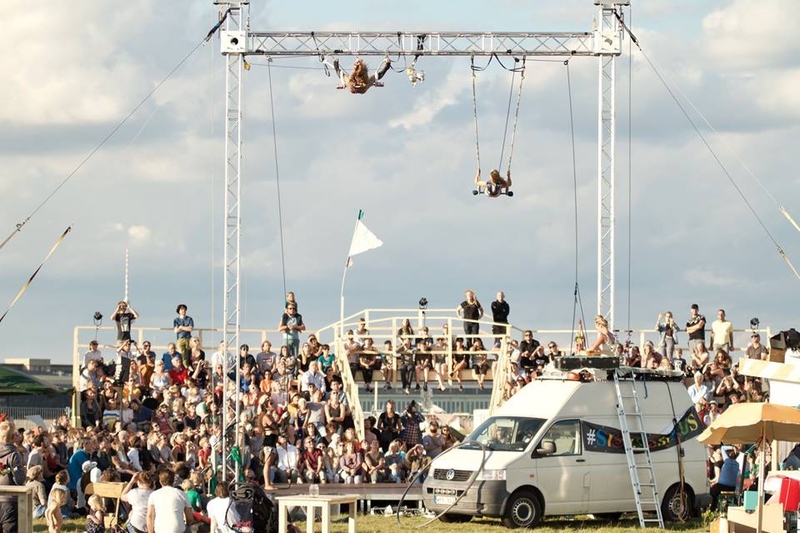 The Berlin Circus Festival is the festival for contemporary circus in the heart of Berlin. We invite you to discover the breathtaking mix of circus, dance and performance during 14 high-class productions under our two big tops. 10 days of festival with young and professional international artists from all over Europe. Stunning acrobatics, juggling, theatre, dance and a unique festival site. Join in and rediscover circus for you! We feature renowned productions, spectacular shows, emerging artists and much more in the two most beautiful circus tents of the world - with enough space for everyone. We will introduce to you the so-called contemporary circus, which is already enchanting an incredible number of spectators abroad! On the site, you are invited to discover art exhibitions, enjoy live music and savour delicacies from the wonderful local restaurant 'Schlesisch Blau' with your drinks in the rays of the late Berlin summer sun. We play in every weather in our two big tops. All shows are easily understandable and there are few language barriers.